19-time World Billiards and Snooker Champion, Pankaj Advani - the only player in the world to win world titles in all formats of both, Billiards and Snooker. 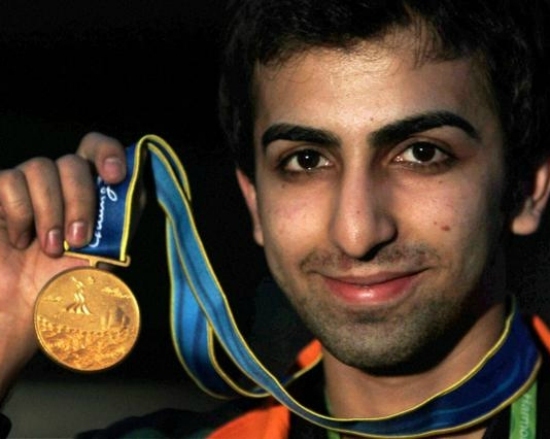 When most athletes are beginning to showcase their talent, at the age of 29 Pankaj Advani has already won all the championships his game has to offer many times over. The 19-time World Champion in cue sports won his first world title when he was just 18 and is the only person in the world to have ever won both the Billiards and Snooker World Championships in all formats. At the tender age of 18, Pankaj won his first World Title in 2003. From there, Pankaj's career has seen many firsts. He is the only person in the history of the game to have won both the billiards and snooker IBSF World Titles as well as the World Professional Billiards Championship. He was the first person ever to win a "Grand Double" (both the points and time formats in the same year) at the IBSF World Billiards Championships 2005 in Malta. Pankaj repeated the same feat at the 2008 Championships held in Bangalore. On October 29, 2014 he created a world record by winning the Grand Double for the third time, in Leeds, UK. That being an introduction to a career brimming with distinctions, the list continues with Pankaj Advani remaining the only person to have won all 5 Billiards tournaments in a season, an accomplishment achieved by winning the Junior National Championship, Senior National Championship, Asian Billiards Championship, World Billiards Championship (Point Format) and World Billiards Championship (Time Format). His contribution to the sport and to India's sporting milieu has been recognized on multiple levels. He was bestowed with India's prestigious civilian award, the Arjuna Award in 2004, Rajiv Gandhi Khel Ratna in 2006, Padma Shri in 2009 and Padma Bhushan in 2018. 2011 saw Pankaj achieve a different milestone in his young life. The World Economic Forum chose him as a Global Shaper for his prowess, iconic status and supremacy in his field. In 2012, he received the NDTV Spirit of Sports Award for India's Outstanding Achiever, where Pankaj shared the stage with Bollywood superstar Ranbir Kapoor in a high-energy jig. He has also earned the TAG Heuer's Excellence in Sports Award in the same year. Pankaj then embarked on a unique journey as the only person in the world to participate as a Professional in both Snooker and Billiards.